China is home to millions of mountains. Yellow Mountain is the most famous one. 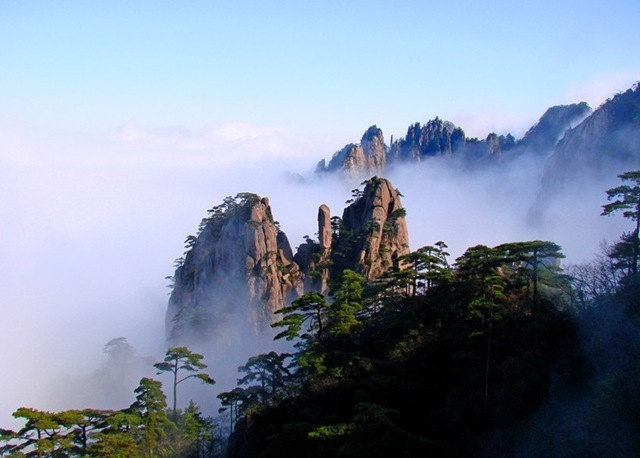 Colloquially, it is known as Huangshan. The mountain is located in south of Anhui Province. The mountain is famous around the world for its scenic spots. There are four scenic spots namely Hot Spring, Cloud Sea, Strange Stone and Pine Forest. The mountainous region is home to several peaks and some of them are over 1,000 meters high. Major peaks are bright Summit Peak, Lotus peak and Tiandu Peak. The incredible natural area has everything that can captivate your senses. Every year several travelers take China flights to climb up the hot springs which is the entertainment center of Huangshan. Wander through the rich and dense forests or admire the spectacular rock formations, there is simply so much to see as you trek along the Yellow Mountains. If you are not in the mood for this energetic adventure you can still enjoy the yellow mountains with the help of cable car rides that will cover most of your major ascents or descents. Stay the night at the mountain itself to rise early to watch the gorgeous sunrise from up above. Conclude your tour by hiking to the beautiful Yungu, Cloud Valley for a perfect end to a perfect tour of the Yellow Mountain Tour. Besides that, the poor soil and climate on the mountain has limited the growing speed of the pines. It might take more than one hundred years for a tree to grow up to a height of three meters. However, the length of their roots is several times longer than the tree trunks in order to remain firm and withstanding the wind on the mountain.